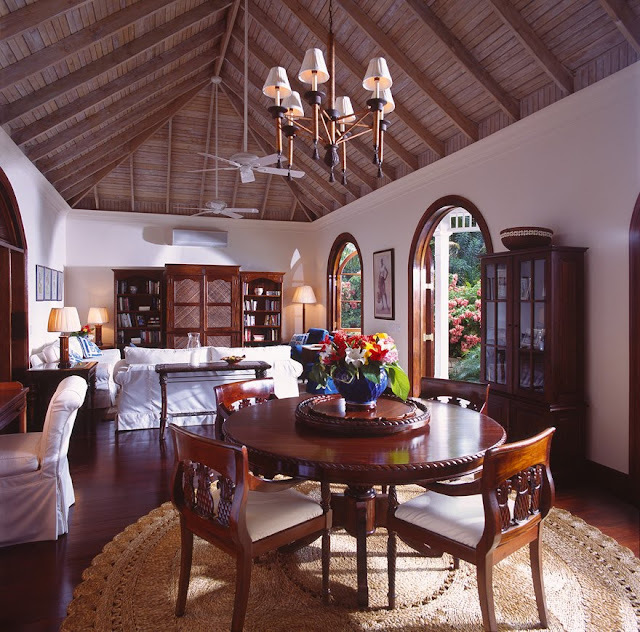 Ralph Lauren has also turned the 36 rooms at Round Hill Hotel and Villas' Pineapple House into a haven of elegant beach living, incorporating white stone floors, romantic mahogany four-poster beds, and plush furnishings. The stylish retreat—a stomping ground for jetsetters and socialites since the 1950s—includes an 18th-century plantation house, which has been converted into a spa. No doubt for his very large parties where he can't accomodate all his guests at home! Oh I just love those laid-back and relaxing rooms and spaces. Such a wonderful post, long but a very good read coupled with great images. you can enjoy Montego bay shore excursions tours. If you are looking for ricks café negril, dunn's river falls and appleton black river in jamaica with affrodable price. You can also booking montego bay hotels online at funtoursjamaica.com.